Don’t go further than you need to for same day garage repair in Metro Detroit. At Taylor Door Co. we offer same day garage repair for the Metro Detroit area and at the most competitive prices. Our same day garage repair is fast and convenient! We make sure to provide our customers with the best deals possible on same day garage repair services. Call 800-734-0979 before 11 a.m. for same day garage door repair in Metro Detroit MI. We pride ourselves on providing same day garage repair service in Metro Detroit and seek to serve our customers anyway we can. Call today for a free estimate on all types of garage door service needs. 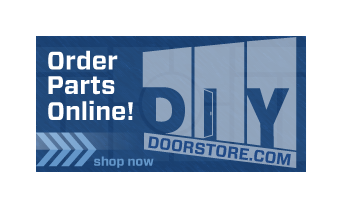 Call before 11 a.m. for same day garage door replacements! Taylor Door Co. Will Fix Your Broken Garage Door Today! Don’t let other companies scam you into a $300 dollar garage door repair. At Taylor Door Co., we provide our customers with customized FREE quotes and will let you know EXACTLY how much your garage door repair will cost. Taylor Door Co. also provides our customers with same day garage repairs in Metro Detroit if you call before 11 a.m. Contact us today for your free quote at 800-734-0979. 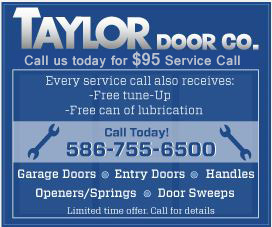 Taylor Door Co. will fix your broken garage door today!